Just when I had gotten over the shock of being able to get a Prada style dress for £11 in Primark, I have found another steal. I was actually in Primark desperately trying to get my hands on the seaside dress for my fellow blogging friend Style on the Couch without success when I saw this little number. Who are the designers at Primark? Can you imagine what they could do with a bigger budget. Amazing. Ah I need it. My new resolution to stop going into Primark (tying into the other resolution of buy less, buy better) has failed, but because the store is getting better - so surely purchases are validated now? love a bit of fruit! What a great and affordable find! 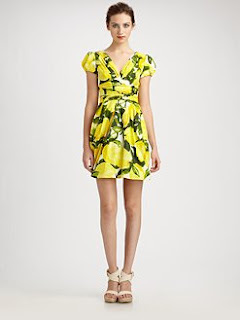 That print sure is perfect for spring...and the shot of yellow is high on my hitlist this season! Thanks for sharing, great finds! 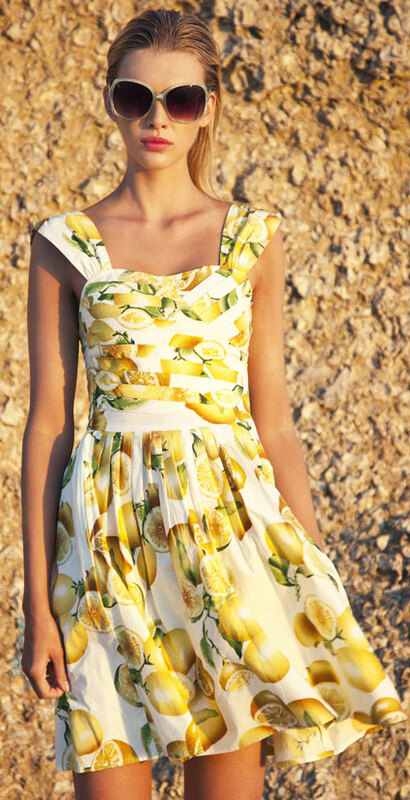 You were such a sweetie to try to get the first Primark dress for me. I LOVE this one too. You have such a good eye for bargains...! i got it in primark at only £9!